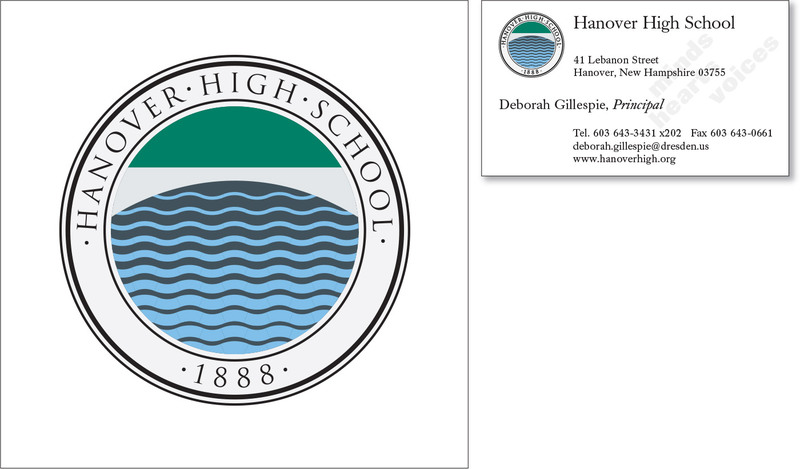 ​Working in close collaboration with Banwell Architects and school personnel, CGD designed the interior sign program and exterior identity signage for the renovation and expansion of Hanover High School. As an integral part of the program, CGD also designed a graphic motif symbolizing the High School’s connection with communities on both sides of the Connecticut River. This motif was used as a unifying element on signs for administration offices, departments, stairwells, rest rooms and other primary spaces. The “bridge” motif subsequently became the starting point for CGD’s redesign of the school’s logo. 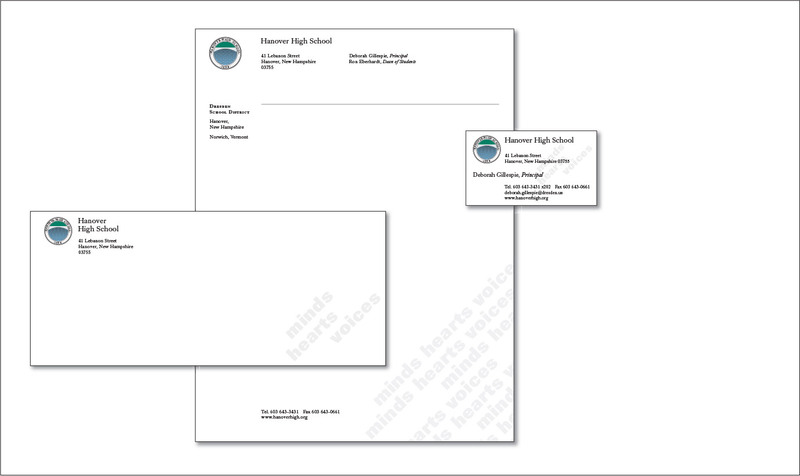 Initially applied as an incised and color-filled granite medallion at the center of the school’s new courtyard, the new logo became the primary element in a renovated stationery program for the High School and the Superintendent’s Office.